Voice overlay helps you turn your user’s voice into text, providing a polished UX while handling for you the necessary permission. See it implemented in the demo app. 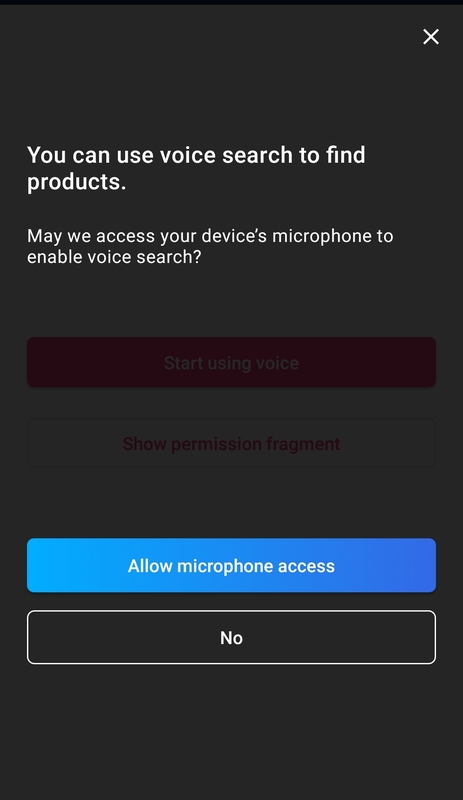 This will display the permission dialog if the RECORD_AUDIO permission was not yet granted, then the voice input dialog once the permission is granted. If the user didn’t accept the permission, you should explain the permission’s rationale. 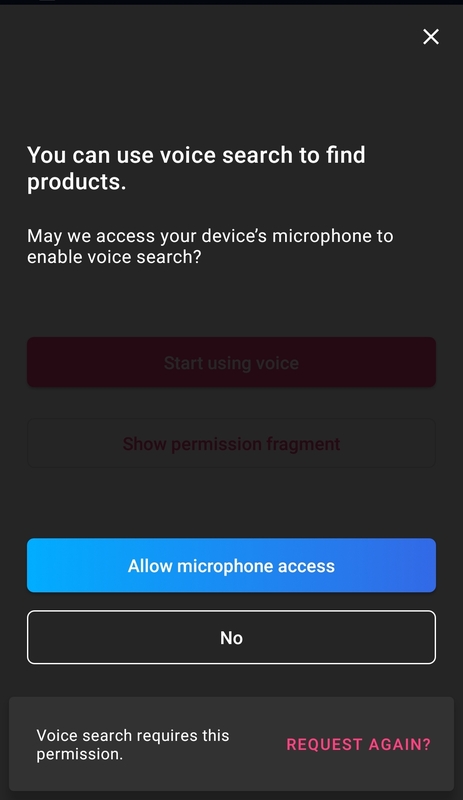 If they deny the permission, you need to guide them into manually enabling it if they want to use the voice-input feature. This will display the permission rationale when the user doesn’t allow it, and the manual instructions in case they denied it. Several options let you adapt the voice overlay’s behavior to your needs. You can provide suggestions of what the user could say, to give them some examples. You can prevent the overlay from automatically listening to user input. /// Requires the user to click the mic to start listening.